Writing is often the most challenging part of the business proposal process. 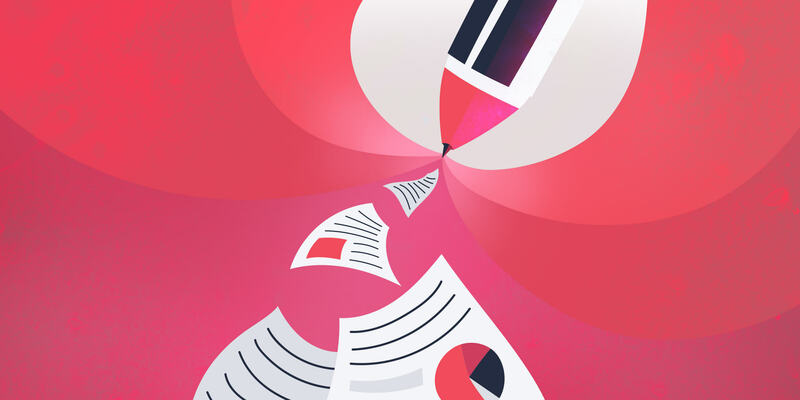 We share some writing guidelines to help you communicate more clearly, more persuasively, and more effectively. You may have had a great initial meeting with your sales lead; you feel like you really connected with them, and you can offer a solution to their business challenge. Now that it’s time to move the opportunity to the next stage, it’s up to the proposal to reinforce and deepen that connection through the written word. How you express yourself in the proposal will reflect on the credibility of your company, your expertise, and your working style. It’s critical you get it right (pun possibly intended). We all know that how we say something is as important as what say. It doesn’t matter what you want to communicate to your sales lead, if you use a tone of voice or language in your writing that alienates them, you’ll lose the deal. Writing with a tone of voice your client can relate to will help you connect emotionally and engage with them. Once you establish that emotional connection and create some common ground, it’s easier to be persuasive. And being persuasive is the name of the proposal game. Consider your target audience - who are they, what do they value, how do they view themselves, and how do they want to be seen by their own target audiences? Write with a tone that addresses them, while remaining on brand for your agency. Is your tone professional, conversational, empathic, educational, or irreverent? It’s important to position yourself as the expert in your industry, but you need to be careful not to sound condescending toward your client. You need to address them with respect, acknowledging their own experience and expertise in their industry. If there’s one thing your business proposal needs to do, is clearly and persuasively answer the question of ‘Why?”. People don’t want to be told what to do; they want to know why they should do it. Why is the client looking for help? Why should they choose our business? Why shouldn’t they choose the competition? Why is our solution the right one for this client? Why are we the expert in this situation? Why should the client spend $X amount of money if it’s more than what the competition is charging? Being persuasive is the whole point of a proposal but it’s surprising how many proposals just state “facts”. You need to lead your client on a bit of a journey and convince them that you’re the right choice. The Problem-Agitate-Solution formula (also known as PAS) is a tried-and-true copywriting technique, and it’s also an ideal approach for proposal writing. First, you need to show that you grasp the challenge the client is facing. Demonstrate that you understand them, their business, their customers, their particular industry, and the pain they’re experiencing. This means you have to listen to the client more than talk at them about yourself. Do research and make sure the proposal focuses more on them, not you and your company. Too many proposals are centered around the proposing agency - me, me, me - and the potential client and their problem gets lost in all the talk about how awesome you are. Now that’s you’ve established you understand the problem, you need to agitate it a bit, make it seem a little more painful. Paint a scenario where, if the problem persists, it could have a detrimental outcome for the client’s business, and then reinforce that finding a solution is critical. Be careful not to go too far in agitating the problem, you don’t want to appear absurd or alarmist. But demonstrate you understand the implications for your client if this issue isn’t dealt with , and you want to stop things from getting worse. The final step is where you get to be the hero with your brilliant solution. This is where you show that you can make make the client’s pain go away and save their business from the clutches of evil. Detail your solution. Explain why it’s going to work for this particular situation, why you’re the most qualified to administer the solution, and outline the anticipated results. Plain language writing, also known as plain English, is exactly that — writing clearly and concisely to make it easy for readers to understand what you’re trying to say. Maybe you’ve never heard of plain language writing but I guarantee you’ve read lots of documents that could benefit from it. You know the ones — often they’re insurance or legal documents, reports, instruction manuals, brochures, or maybe letters from the bank or government. Free unicorn latte to anyone who can decipher, “The study cannot rigorously disentangle these components. When your sales lead is reading your business proposal, they should clearly understand your offer, the process, and the results you’re going to deliver. Plain language makes your proposal easier to understand, easier to remember, and easier for the reader to say yes. Use simple, concrete terms that readers can picture instead of difficult abstract ones they can't. This is especially important when dealing with sales leads who aren’t necessarily experts in your line of business and might be unfamiliar with industry-specific phrases. Use simple terms, or if you really need to use an abstract term, make sure you explain it. Use positive words instead of negative. We all skim when we read. We don't read every sentence or even every word of every sentence. The way this sentence is phrased it could be easy to see only the words ‘can’t’ and ‘not’ and then assume it’s negative response. Use simple connectors instead of strings of words. Linking words can make concise sentences into complex ones. It can also make you sound kind of pretentious. For the purpose of this project, and in the event it is determined we require more information, we will assume the role of your customer and conduct an audit of your website. If we need more information, we will conduct an audit of your website from the perspective of your customer. Use active verbs instead of passive ones. The active voice clearly identifies an action and who is performing that action. Readers prefer the active voice because it’s a more natural way of communicating. The active voice makes sure there’s no misunderstanding of who is doing what. For example, if you were writing a proposal and wanted to brag about the awesome campaign your agency developed, which do you think is the more powerful statement? An online campaign was developed that resulted in bringing in 400 new monthly subscribers. Our team of digital experts developed an online campaign that brought in 400 new monthly subscribers. The second statement makes sure the emphasis is on your successful action. There’s no ambiguity about who did what. This is especially important when you’re outlining roles and responsibilities between the client and your business. Use precise verbs instead of abstract nouns. Verbs are there for action so let them do their job. 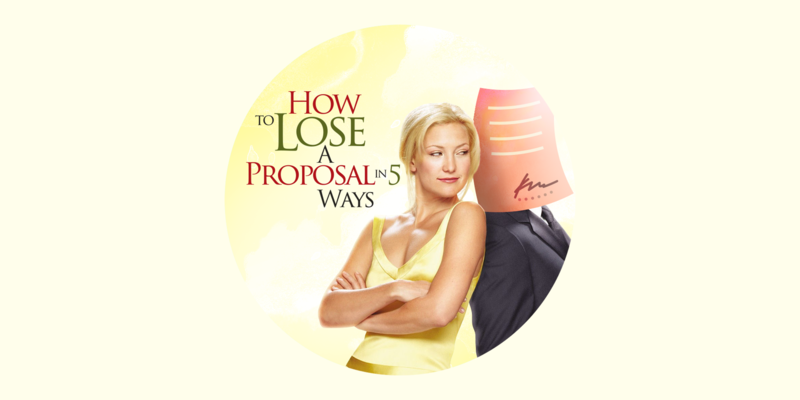 Our proposal app will make an improvement on your close rate. 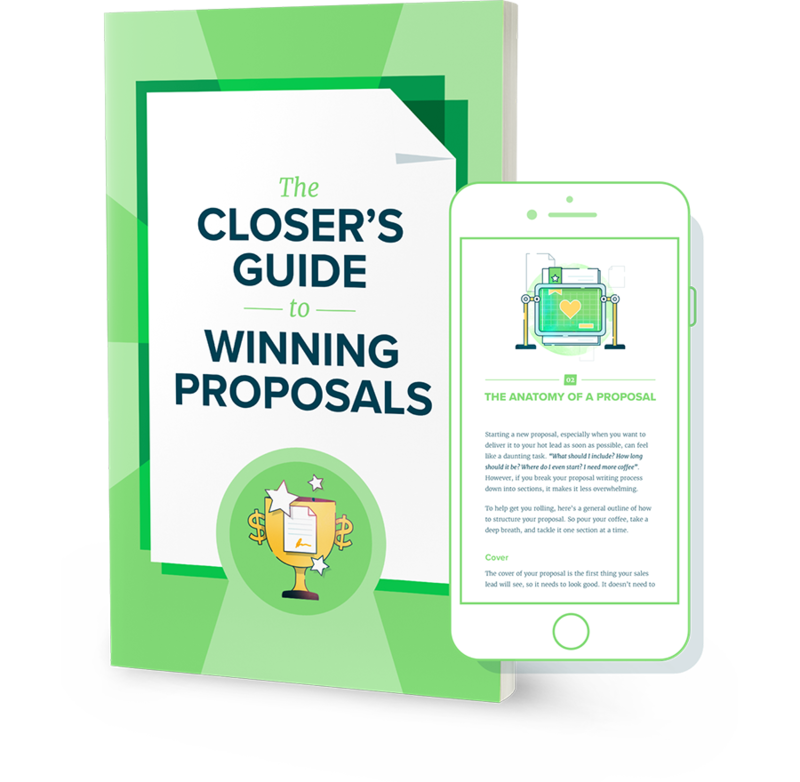 Our proposal app will improve your close rate. Simpler, shorter, and more confident. Get rid of words that don’t add value. If you try to sound fancy, people will either think you’re trying to talk above them, or that you’re trying to sound smarter than you are. People like, trust, and hire people they understand. Use short sentences, 15-20 words. Limit most to one main idea. A simple way to test if you can break up a sentence is to look for the word “and” and see if you can replace it with a period. Sometimes you can’t avoid a long sentence, so try to make most of the other sentences around it short. Remember, if people can’t understand what you’re saying, they can’t be persuaded. While your writing needs to appeal to your intended audience, don’t try to be something you’re not. People can tell if you’re being authentic or faking it. If you’re a kooky creative shop that tests the limits of the norm, then make that clear in your proposal. If you’re more of a button-down analytics-driven company, then don’t feel pressured to come across like you’re a crazy good time. 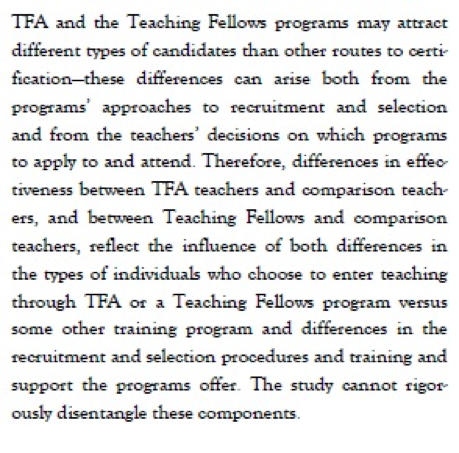 The goal of your proposal is to demonstrate that you’re a good fit. You’ll only disappoint the client in the end if you aren’t true to your brand.